The understanding of food security has seen major shifts since the original conceptualisations of the challenge. These changes in understanding have been accompanied by different food security measurement approaches. Despite the fact that the world has become increasingly urbanised and the developing world in particular, is experiencing its own urban transition, changes in food security measurement remain predominantly informed by a rural understanding of food security. In instances where urban measurement does take place, rural-oriented measurement approaches are adopted, occluding critical urban challenges and systemic drivers. This paper begins by highlighting the urban transition and attendant food security challenges in the Global South. 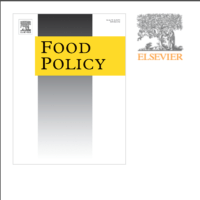 It then reflects on existing food security measurement methods, detailing the positive components but also highlighting the shortfalls applicable to the urban context. At the urban scale, a food system assessment is argued to be one appropriate tool to respond to urban food insecurity while at the same time providing both the “breadth and depth” to inform effective food security programming and policy interventions. Theoretically, questions of scale, context and a critique of the rural bias in food systems work are essential informants guiding the approaches applied.